CDPHP Cycle! is a new bike sharing program for Albany and the Capital Region! These smart bikes are available for rent and return at various locations across Albany and the Capital Region. Register once and get access to CDPHP bikes whenever you need one! Pick up a CDPHP Cycle! bike near home, ride to a station near work, check the bike in, and head into work knowing you arrived healthier (and greener) than when you left home. Is this your first visit to Albany? Are you a local looking for a new way to see the city? The CDPHP Cycle! bike sharing program is the perfect, cost-effective way to navigate Albany and the surrounding area. Hop on and off at all the important sites in and around Albany for a fun and easy tour. The CDPHP Cycle! 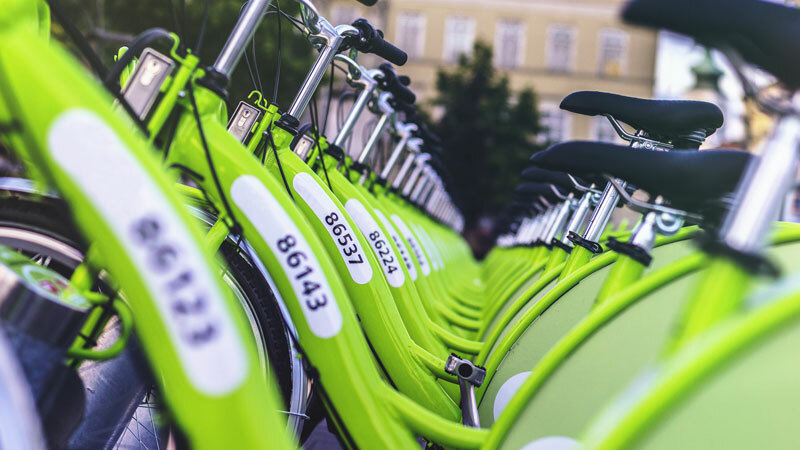 bikes are smart and fitted with GPS software that makes it easy to track your rides, share with friends, keep count of calories burned, calculate the distance traveled, and even estimate how your ride contributed to a reduction in carbon dioxide emisssions. To access a bike, simply download the app from cdphpcycle.com, register, and find the nearest bike. If you prefer, you can also reserve a bike ahead of time on a computer, tablet, or smart phone. Release the lock with your app and you're ready to ride. Return the bike to any of the CDPHP Cycle! stations with an open spot.